This Six Cup Classic CHEMEX® pour over brewing process will deliver the perfect cup of coffee without any sediments or bitter elements. Made of non-porous Borosilicate glass which will not absorb odors or chemical residues. 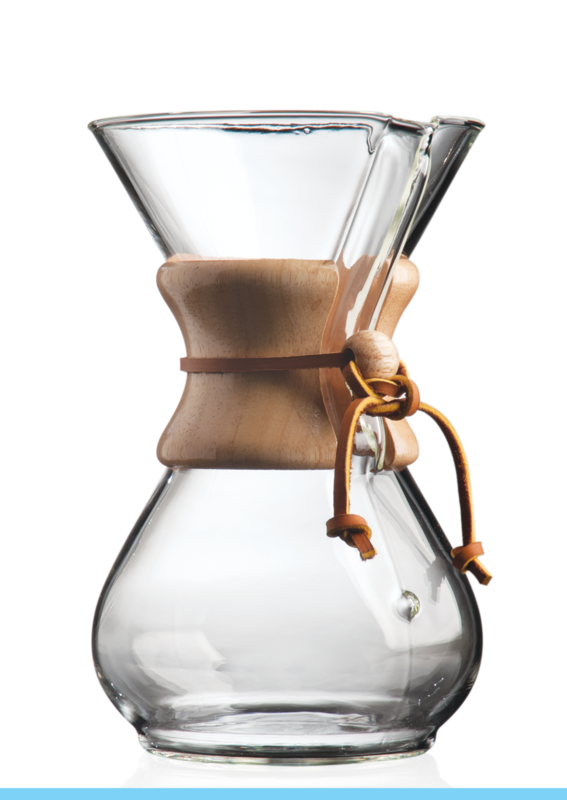 This CHEMEX® pour- over allows coffee to be refrigerated for reheating without losing flavor. Simple, easy to use with timeless, elegant design.